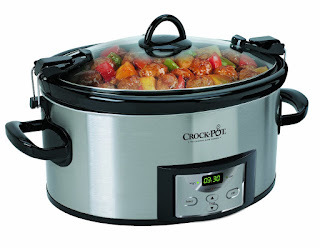 Today (1/23) ONLY - this *HIGHLY RATED* Crock-Pot 6-Quart Programmable Cook and Carry Oval Slow Cooker, Digital Timer, Stainless Steel is down to $34.30 (Retail $59.99). Shipping is free with Amazon Prime or your $49 purchase. **Prices can change at anytime.